Kite Making Project - Project? Dates? Starting a new thread! Let's hear from anyone on here that would like to do a kite sewing project. It is being decided what type of kite to make and so far many have liked the idea of sewing a ROK. Anyone else like to make a suggestion? As far as a place to sew with room to do it, we have a building we own that we did it a few years ago. The building is heated, so we can do this anytime coming up. Last time we did it in the winter, but the date could be anytime from October to April. Love to hear ideas and suggestions. We ordered food and did a buffet style lunch, but that is up to everyone else if they'd want to do that. Let's hear the ideas under this new thread. Re: Kite Making Project - Project? Dates? I'd be interested. Not sure when. Superbowl weekend is out for me, and probably the weekends around Christmas. I might also try to go to TI and/or Kite Party, so those weekends might be out too. I'll have a chat with my wife about the rest of our calendar. I'd prefer a winter weekend just because it's less likely to be good kite flying weather during the winter. Maybe we could start on the megamon too . . . .
We have a sewing machine but I know nothing about sewing. I've often thought, however, that it would be fun to have a kite (probably a rok.) with my college alma mater's logo on it. That's something I'd have to sew myself, or pay someone to make. I've even exchanged some email with Gary Engvall about the idea. So, a kite-making workshop might be a fun way to learn techniques that I could later apply to such a project. Can't promise I'd make it, but I do have some interest. Winter time is great .. don't want to screw up some good flying weather. ROK is also great ... building pics are already available. How about a extra-large Canard? I like the canard - it looks like a Marconi variant without a vertical keel for stability. Rebuilding a Marconi that I first built as a teenager is actually the first project I want to tackle. 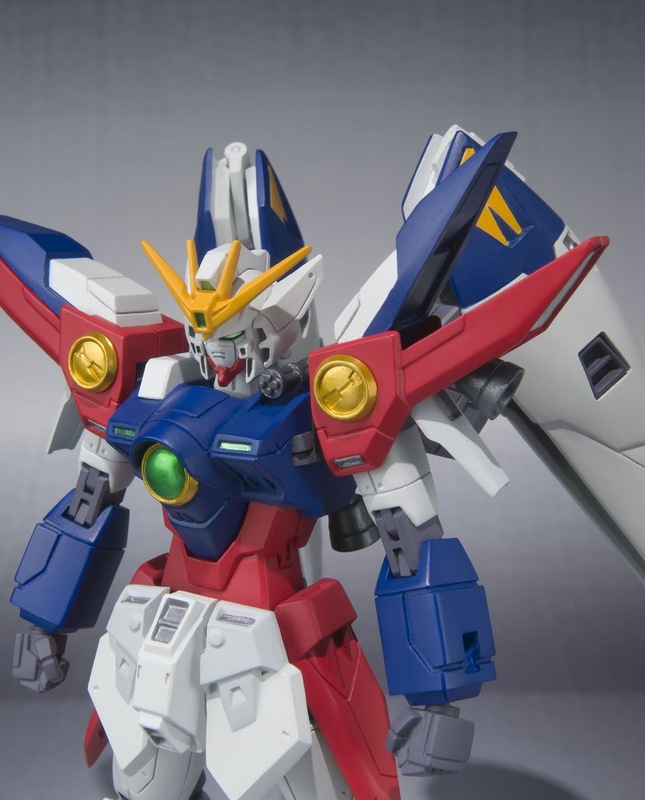 By "rebuilding" I mean "throw everything away because it's that bad" and "build a new kite that looks like the original." Maybe I will use some of the original fabric to make a tail. I'd be up for a Rok as they look pretty straightforward to build with the possibility of doing lots of designs via applique (or not, if you want to keep it simple). I think I might be able to handle that . . . . maybe I can even learn to sew a reasonably straight line. The Rok class was a beginning class and the kite, without appliqué, could be finished in a day. If people want to do something more advanced that's great, but we need someone who's made the kite at least once, and can then teach it. Anyone can volunteer to figure out how to make a kite and teach a class. Mike wrote: The Rok class was a beginning class and the kite, without appliqué, could be finished in a day. I think a ROK making class would be great, it would be nice to have more for the ROK battles and it was fun to make. I would love to join that class. Winter is probably best. I've been wanting to build a Rokkaku and it could be finished in a day. I have saved a few different sets of instructions, but haven't tried it yet. If someone with a little bit of experience could settle on plans they like and issue a materials list would be awesome. Even if we all do IKE colors to show our allegiance whenever we're out would be cool. Maybe panel cutting before hand too. My family has multiple sewing machines that I can use. When I did the Rok class last time, I had people do the cutting themselves so they could experiment with both hot and cold cutting. The hot cutting helped with part of the sewing too. It welded a couple pieces together to help keep things lined up for sewing. I like the idea of a Rok, straightforward, and it seems there will be alot of beginers. Now to mull over what to to with the design! Here's a photo of the Roks we would make. It's a photo from a battle in progress; one of the kites is being cut out of the sky. 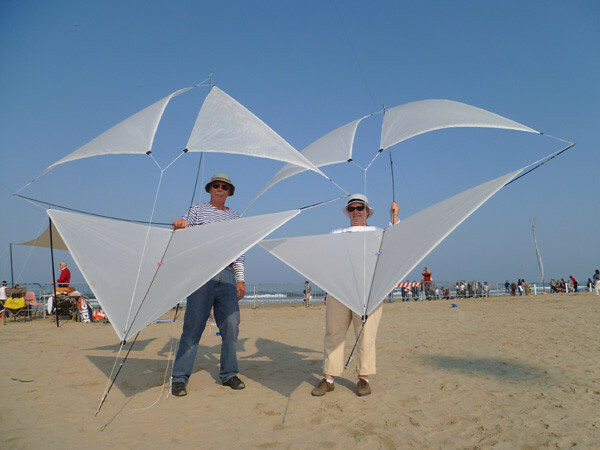 The kites are in the 3-4-5 style, meaning that they are 5 feet tall, 4 feet wide, and the height of the center rectangle (red, green or blue on these kites) is 3 feet tall. That photo is from 2005 and these kites are still flying and with the same spars. The spars are pultruded carbon in one piece. Two 4 foot and 1 five foot rod. We won't have time to appliqué in class, you'd have to do that on your own later. I've added simple one color, silhouette style, designs to some of my kites. Mike wrote: I had people do the cutting themselves so they could experiment with both hot and cold cutting. I don't need anymore rok, but I like to come to the class anyway. I can cut for you, but you have to sew. What about a pointer? Simple construction as a ROK, flies in almost any wind, and is a great directional indicator in light and shifty winds. Just a suggestion. Mytoyz wrote: What about a pointer? Simple construction as a ROK, flies in almost any wind, and is a great directional indicator in light and shifty winds. Just a suggestion. I think if you volunteer to lead the class, then the class can be for any kite you want to teach . . . . I would love to get to that point....but as of the moment, I cant sew, cut, design, or teach! Still in the learning phase of this hobby.